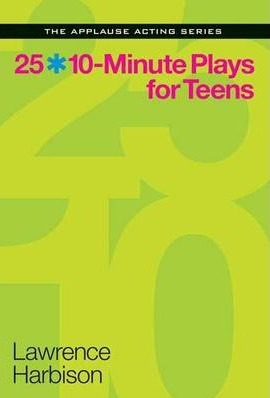 In 25 10-Minute Plays for Teens, young thespians in high school and middle school will find terrific plays by some of our most prominent playwrights, such as Don Nigro, Wendy MacLeod, Jeff Goode, Bekah Brunstetter, and Constance Congdon; and equally terrific plays by such exciting up-and-comers as Chad Beckim, C. S. Hanson, Merridith Allen, Sharyn Rothstein, and Kayla Cagan. The characters are teens, and the subject matter will be of interest to aspiring young actors, making it easy for them to connect with the characters and situations. Ideal for theater students, youth groups, and acting classes. Applause Theatre & Cinema Books.